After laws restricting the general use of the Starex Van were lifted, Hyundai Motors sought to capitalize on new targets. The problem was that this versatile 9 seater van was associated with manual labor jobs. It was my duty to develop a branded content series which emphasized the various different circumstances the Starex could be used. Through my research, I determined that casting foreign nationals in a humorous yet heartwarming web series would help Korean consumers see the old model in a new light. As a result of our combined efforts that centered around this web series, search query traffic for the Starex tripled for an entire month. When I teamed up with KCMI in their adaptation of the world famous Anthony Browne children's book series into a musical, identifying our selling point was easier than expected. So many people fail at this because they are unable to bring out out the meaningful elements that make the original successful or they are simply incapable of giving the piece its own unique flair. Finding this balance is nearly impossible, but when it happens the result is miraculous. Immediately after watching the rehearsal of Anthony Browne my doubts were dispelled. When judging if a story is capable of inspiring an audience the first two things I look for are depth in meaning and poignancy of expression. Anthony Browne : The Musical had both. The quality of the music, the emotional drive of the performances, and the artful structure of the plot captivated me. Most importantly this musical had the ability to inspire. So I signed on. At Hook Viral, I am currently in the process of letting everyone know what makes this musical a must see! This Video describes the background story of the musical--how KCMI CEO came to realize that he must make this musical happen. He describes the role that catharsis plays in Anthony Browne and how he worked hard to incorporate it into the viewer experience. The top of the funnel for the Anthony Browne campaign. We used this video to collect critical information about our potential customers. Through our Facebook paid advertising, we were able to create a custom audience that yielded powerful results. Utilizing this video (and five other similiar pieces) we drove traffic to our landing page where interested customers could access Anthony Browne music and other multimedia resources. This video series was named at retargeting high engagement viewers and widening our audience to customers passionate about music. Negotiated contract with Partner production company. Currently Hyundai Motors and other large brands in South Korea are migrating their branded contents efforts away from youtube to the video channel of Korea's largest search engine, Naver TV. Marketers are still trying to figure out how to rank well on the popular platform. 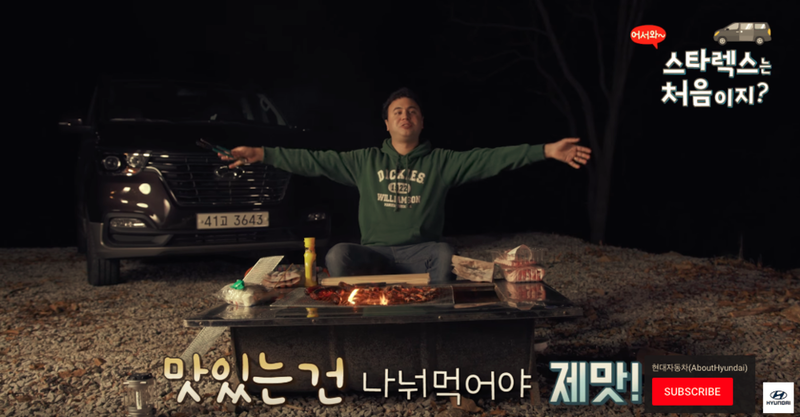 Hyundai motor's has assigned us task of developing and distributing branded contents that are both favorable to Naver users while also giving brand exposure to Hyundai Motor's new subcompact crossover SUV. We are currently in charge of managing Hyundai's assets on their Naver TV channel called View H.
Kona Driving Solution A, displaying Hyundai's Smart Sensor function. Kona Driving Solution B, displaying Hyundai's Smart Sensor function. During my time as Creative Director at Hook Viral, I made it my priority to realign our brand image with the new and evolving services we were providing. Hook Media Company found its original success during the cat and baby YouTube video era and as a consequence the company was known for developing photo realistic videos with clear branding goals, but meant to look like "amateur videos." When I joined Hook Viral, the company was already evolving into an agency that produced commercials and branded content. It was essential that we revamped our website, so that potential clients could take us seriously as an agency that could produce glossy "high quality" videos. Some of the most innovative technologies can be pretty dull. This is one of them. SK Broadband developed a way that people can call you by accessing a phone number on the dashboard of your car without providing your actual phone number. The number that is displayed changes periodically. While this might be very useful to have if you are parked some place really crowded where some one might ask you to pop out temporarily to move your car, it is not exactly a situation that people spend a great deal of time thinking about. On the other hand emphasizing the threats of exposing your phone number can be a bit sensationalist. so I developed some short form contents that portrayed a villain that was absurd enough to not feel like a public service announcement, but believable enough to communicate the value of the product. In my opinion the most attractive thing about traveling the world is experiencing all of those unexpected sidetracks which reshape the way we see the world. I took this sentiment with me as I produced this travel web series for a new video platform developed by SK. From a very early age I have been enamored with Les Miserables, the Musical. Therefore, it was a great honor for me to have played an important role in their marketing campaign. Les Mis might possibly contain the most hearting throbbing inspirational stories of all time. During this campaign, we needed to emphasize the value of seeing the musical live. At the time it had only been a few years since the release of the movie with Hugh Jackman and Anne Hathaway. Fond memories of the movie still being fresh in people's mind, we had a problem standing in the shadow of the Hollywood blockbuster. Why see the musical when there is an admittingly an awesome cinematic experience that tells the same story? Nevertheless, nothing beats seeing something live. I think we did a good job of driving home that point with these branded video contents. Everyday people thinking they are going to be reviewing new video technology end up watching an amazing live performance. One unique aspect of Les Miserables is that the story takes place over an extended period of time. With this branded content we told the story of Les Miserables with Social Media interface. Watch as the story unfolds and evolves with the nostalgic UI graphics. Les Mis fans get a rare peak of what it looks like backstage. My first major project at Hook Media Company, I developed the creative for the proposal that won a bid for Lotteworld (the Disney Land of Seoul). 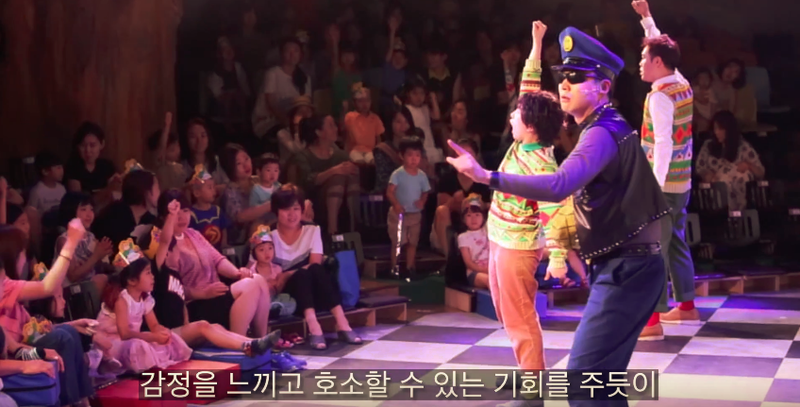 The resulting contents generated renewed interest in arguably the oldest amusement park in Korea. At the time Lotteworld was facing tough competition from newer larger amusement parks located in the suburbs. 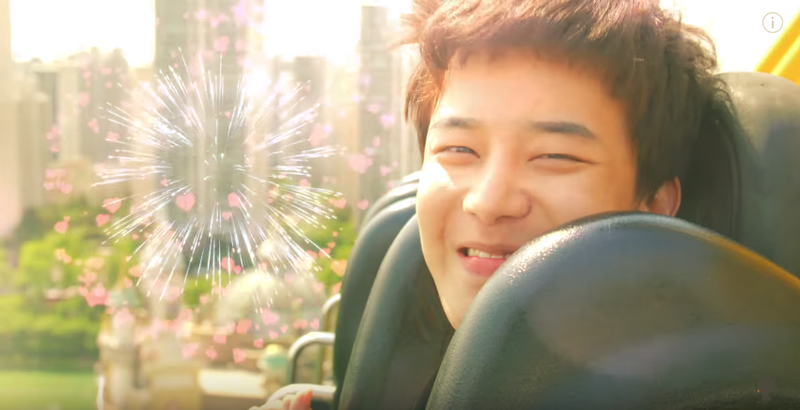 Through our marketing efforts we were able to reassert the Lotteworld brand's image as youthful and dynamic. I was responsible for the development of all audio tour contents that would be distributed on the TourTap application for inbound tourists visiting South Korea. The contents explore such diverse topics as the first woman to receive a college degree in Korea, famous medieval sea battles, and streets that are jinxed for couples. I took information that would normally be explained in a very dull manner and incorporated it into an exciting storytelling format that would not only educate tourists, but also keep them wanting to learn more. I lead an all star team of international directors, actors, and technical staff to produce a dynamic music video that is lyrically inspirational, but also told a captivating story – one that was relevant locally in various locations, but also communicated a universal message – young men need loving relationships with their fathers. This music video was featured in film festivals all over the world and continues to garner international interest. Result – A Community that launched a dozen careers. A media channel that changed lives. I Dig Culture was a Media Hub that I co-founded and operated for over four years. I worked with passionate people all over the world to produce videos and blog contents on Korean culture. We took the brand as far as it could go. The community acted as a springboard that launched many careers in marketing and media. I made the difficult choice to close it down so I could excel at my current employer. I am proud to say that the contents we produced continue to inspire and educate the public about Korean culture.